This was established by the city of Jeonju to put a greater emphasis on the culture and history of Jeonju. It helped to highlight outstanding cultural distinctions and to formulate 'Jeonju Studies'. A number of programs are held here regularly to provide education and hands-on activities. New exhibitions are held every season. Naesosa is over one thousand years old temple located at the westernmost tip of Korea on the magnificent Byeonsan Peninsula. The temple's name "來蘇寺" carries the following meaning "May anyone who comes here revives their life." The temple was founded during the reign of Baekjae King Mu (633 C.E.) by Ven. Hyegu Duta, and was originally called Soraesa temple. No one really knows when the name was changed to Naesosa. Saemangeum used to be an estuarine tidal flat on the coast of the Yellow Sea in South Korea. The Saemangeum Project was initiated in 1991, to reclaim the huge tideland for agricultural purpose. The seawall was completed on April 27, 2010, officially becoming the longest man-made sea barrier in the world, breaking the record of Zuiderzee Works from 1932. Saemangum will be the venue of the 25th World Scout Jamboree, hosted by the Korea Scout Association. The challenges—technological, environmental, socioeconomic, and even political—to the project and the responses consist of a remarkable case for historians and social scientists of technology. 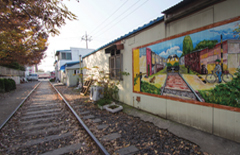 Across town from many of the key Japanese-themed landmarks, though, the Gyeongamdong Railroad Village offers visitors a trip to a simpler and more recent part of history. Just 10 minutes or less from the bus station on foot, the "abandoned" railway is hugged closely on both sides by houses or shops. It is said that the feeling of the 2.5-km railway segment was once very close to that of the famed Maeklong Railway in Thailand; when a train was about to pass, locals would have to clear the tracks of everything from sundried food to their own children, putting things on pause as the cargo-wielding cars chugged through. 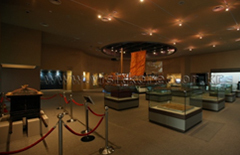 First opened on September 30, 2011, the Gunsan Modern History Museum covers the history of Gunsan's transformative role as an international trading port. 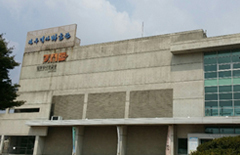 The museum exhibits past images of Gunsan showing its rise and importance as a West Sea maritime distribution port. Gunsan Japanese-style House of Sinheung-dong was designated as Registered Cultural Heritage No. 183 in 2005. 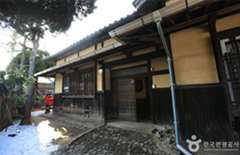 The area of Sinheung-dong, where the Hirotsu House is located, was a residential area for the wealthy class during the Japanese occupation period and the Hirotsu House was constructed by Hirotsu, a man who ran a linen shop. A lot of Korean movies and dramas such as 'The General's Son', 'Fighter in the Wind', and 'Tazza' were filmed in this house. The house is a typical Japanese two-story timber house, keeping the original forms of its roof, outer walls, inside area and the Japanese-style garden which has significant meaning in regards to the architecture history. 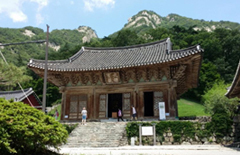 This tour will bring you to historic sites related to modern medicine and higher learning in Jeonju. 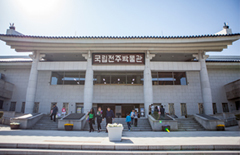 CBNU Museum exhibits the university's history, as well as extensive collections of archaeological specimens, old documents, and folklore materials. The Jesus Hospital, founded in 1898 as a missionary hospital, is one of the oldest modern (Western) medical institutions in Korea. The Jeonju Hyanggyo (鄕校), once the regional center of Confucian learning, contributed to the establishment of Chonbuk National University, by establishing Myeongnyun (明倫) College in 1948, which was merged into CBNU in 1951. As the Hyanggyo is located at one end of the famous Hanok (韓屋) Village, at the end of this tour you can walk through the village to the opposite end, which is only 15 minutes away from the Ramada Hotel.